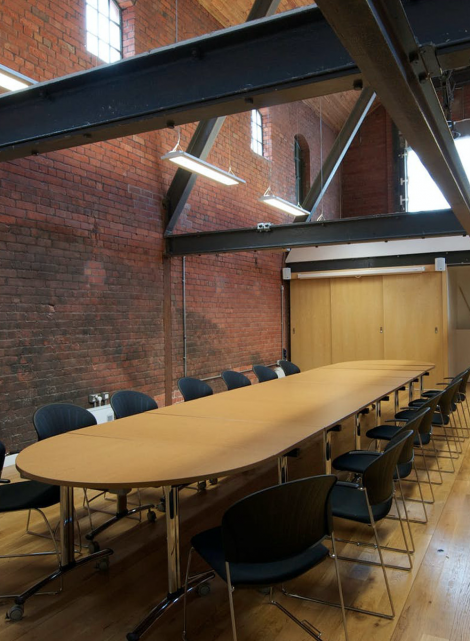 The Coal Store Conference Room is a self-contained space that seats 50 people for a lecture or 65 for a drinks reception. It features restored brick walls and a double-height vaulted wooden ceiling. Includes: lunch, refreshments, internet access and use of digital projector with screen (excludes PA equipment). The unique Engine Hall – can seat up to 100 people for an evening meal, civil ceremony or hold 200 guests for a standing reception or promotional event.